As Fall deepens and the days get shorter, and we put the garden to bed for the winter, I am excited about all of the new things happening at PICA. First, the PICA community this year is awesome. I am so impressed by the folks who have chosen to live in The Village and engage in building our community and sharing sustainable living. 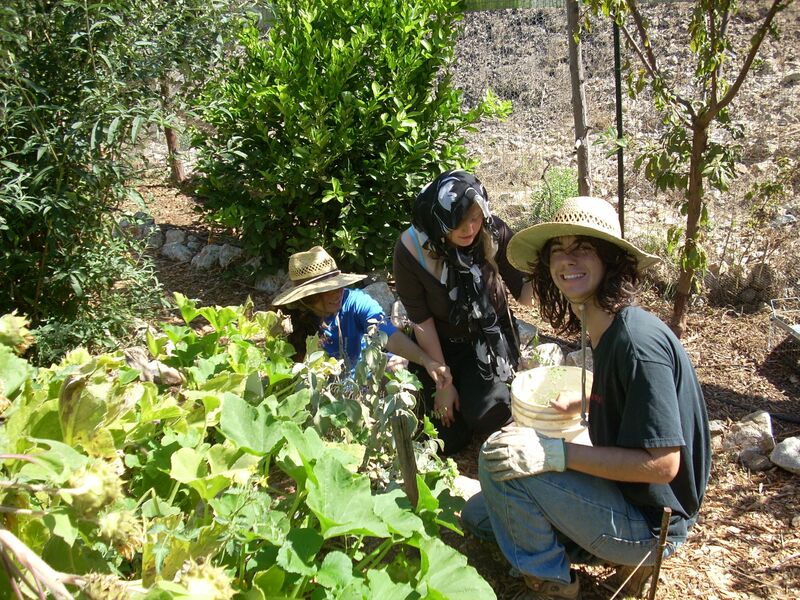 In a new weekly seminar a large percentage of the resident PICAns meet and engage in explorations of living together sustainably, organizing community activities, and sharing food from the garden to the table. Secondly, I am so pleased to see how PICA as a program is growing and gaining recognition as a place for all students, from different backgrounds and majors, to come together and experience first-hand what living sustainably is all about. 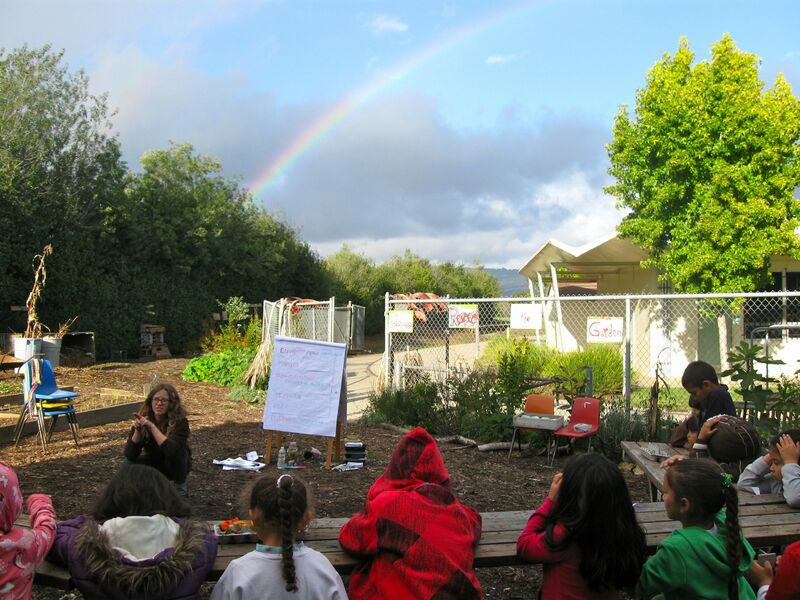 Under the umbrella of the Sustainable Living Center (SLC), PICA joins the Community Agroecology Network (CAN) as two important programs at UCSC where students turn sustainability into action. We are part of a growing movement across campus where Sustainability is our goal. There will be some exciting happenings in the near future as we join forces with this movement and help make UCSC a truly sustainable campus. Thirdly, the excitement is building as we near our fund-raising goal for the Green Kitchen Project! The building design has been completed, all permits obtained, and plans drawn up for locating it in the A-Quad at the SLC. Having a truly sustainable kitchen facility will greatly expand the experience of being a PICAn, since we will have our own place for meals. But beyond that, the building will demonstrate all of the latest in green building, alternative energy, and reducing our carbon footprint. It will become a Sustainable Living Laboratory for students from across campus and multiple majors to experience, learn about, and even research sustainable technologies. Please consider helping us in the final push to reach our fund-raising goal. Any amount will make a difference, and ensure future PICAns will have the best experience possible. Visit www.ucscpica.org for more information and to donate. And finally, I want to welcome our new PICA community coordinator, Mira Michelle. 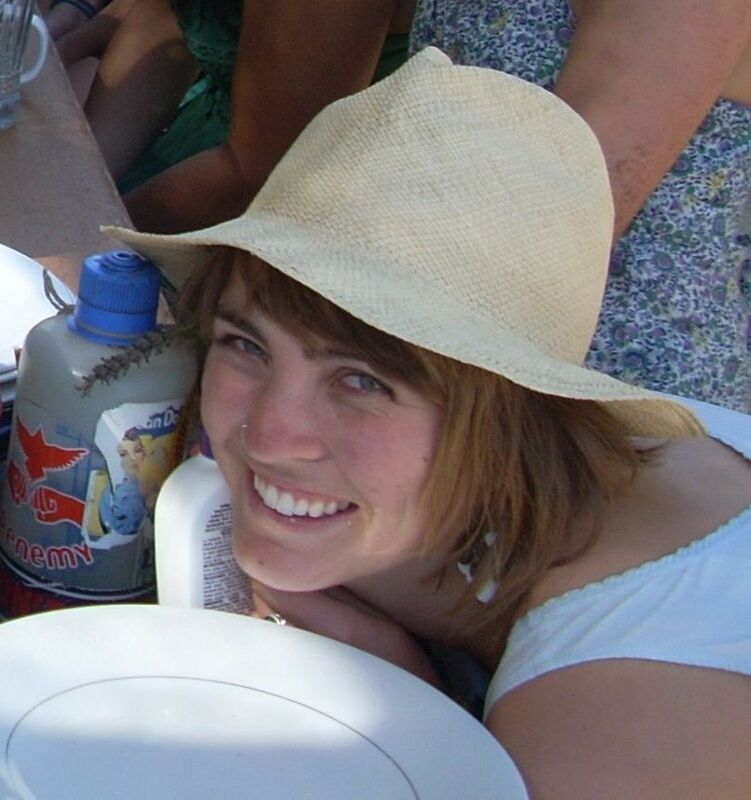 She comes to us with multiple and extensive experiences in community building, environmental activism, and food system sustainability. We have asked her to apply all of these skills in facilitating the growth and activities of the PICA residential community. I believe that she represents a new phase in the development of PICA and the PICA experience, and I am excited to have her with us. Welcome! As I look out my window, I see the leaves of a granny smith apple tree whose fruit has come and gone for the year. I see a young mulberry tree and remember it swaying in the rain and the wind a few weeks ago. And then there’s the irrigation pump faucet that hasn’t been turned on for several weeks. A fresh pile of compost is sitting in its bin, ready to be used in newly weeded out beds, and a cool wind blows in through my window. The things I see in the garden are just a few indicators of the season change. It is late fall and slowly transitioning into winter, but for the past few days I’ve overheard people swear its still summer. The weather may be unpredictable, but the garden is flourishing and growing well. September ushered in new students and new seeds to plant. Our first Saturday workday was a success—compost was built, seeds were started in the greenhouse, and many vegetables were planted in the garden. PICAns, College 8 students, and Thursday Seminar students alike have come together this quarter to work and learn about the garden and many projects have already been started and completed! We’ve finally made the transition into fall, with all of our summer annual beds weeded out and re-planted with vegetables and cover crop. We’ve planted a bounty of crops, including collard greens, kale, chard, beets, carrots, broccoli, boc choi, and radishes. Among the perennial crops that are beginning to ripen, there are figs, persimmons, and a few tree kale plants along the perimeter of the garden. There have been a couple additions to the C-Quad as well. A small gated garden patch that had weedy, dry soil was worked up with compost and rain water and is now growing happy and healthy collard greens. Also, a new herb spiral has been created by the Saturday workday crew and Jose Sanchez’s crew and we’re all very excited to plant herbs such as chamomile, catnip, ginger, valerian, calendula, yarrow, and sage in it soon. This fall’s harvest is plenty, so stop by and pick a kale leaf and a flower or two, or three. Come by just to sit and relax, and listen to the sounds around you. When you get up, let your feet take you anywhere, to our bed ends of lemon balm, rosemary, lavender, lemon verbena, aloe, oregano, and sage. You might see a hummingbird, or maybe you’ll look up and see an eagle. Or maybe you’ll find yourself at a patch of weeds that is just asking to be weeded out! With all these great projects going on with the help of students from all over campus, the Foundational Roots Garden is off to a great start. Did you know that you can cook a sweet potato in the microwave in just 4 minutes? Or that if you start up the rice cooker early enough your rice will be nearly ready by the time you have to go to class? We make it work here in B3 with our “kitchenette” but is this really a way to learn the meaning of food in a sustainable community system? 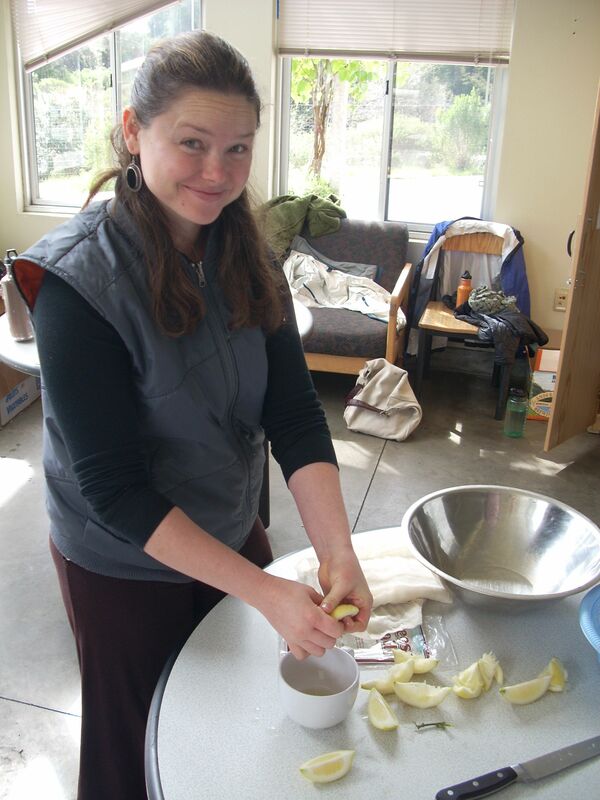 If it weren’t for the PICA community meals, we would be microwaving potatoes every night! I’m sure all of you past PICAns remember this kitchen dilemma. 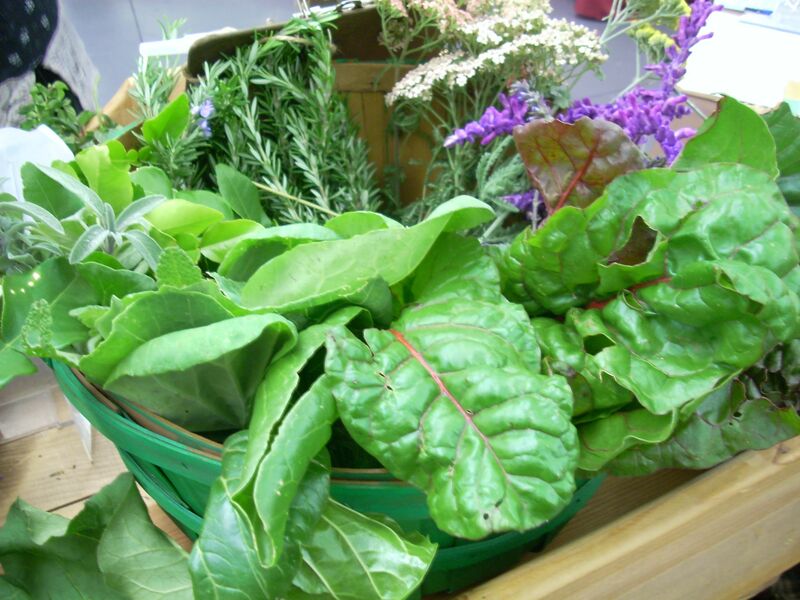 Though we love and appreciate the bountiful organic garden in our backyard, how can PICA’s premise of sustainable living around community agroecology thrive in a kitchenette full of energy sucking appliances, electrical chords and micro-radiation? This is one of the reasons why we are fundraising for the construction of a completely sustainable Green Kitchen to be built in the A Quad here at PICA. 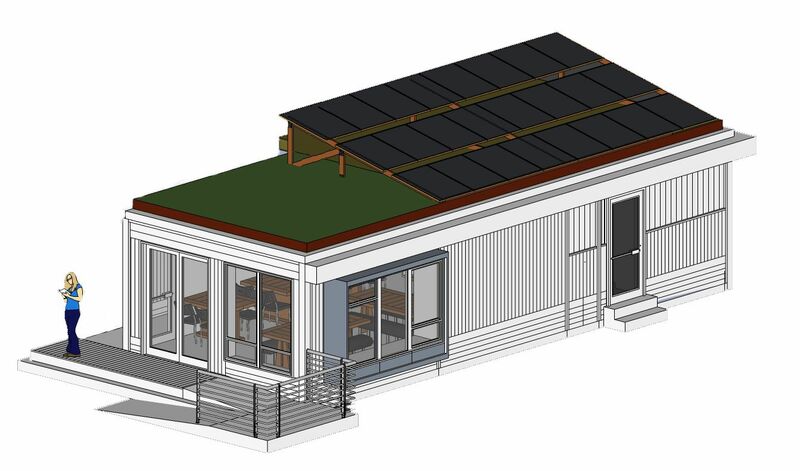 This innovative kitchen will be built with sustainable and recycled materials, the latest green technology, and an eye for the future! It will serve not only as a communal kitchen and general community space for PICAns dedicated to sustainable living, but as a place of research for faculty and students interested in green building. It will be a first of its kind and will serve as a model of how to “green” a college campus and provide a place to demonstrate the ever-important connection between the garden and the table. 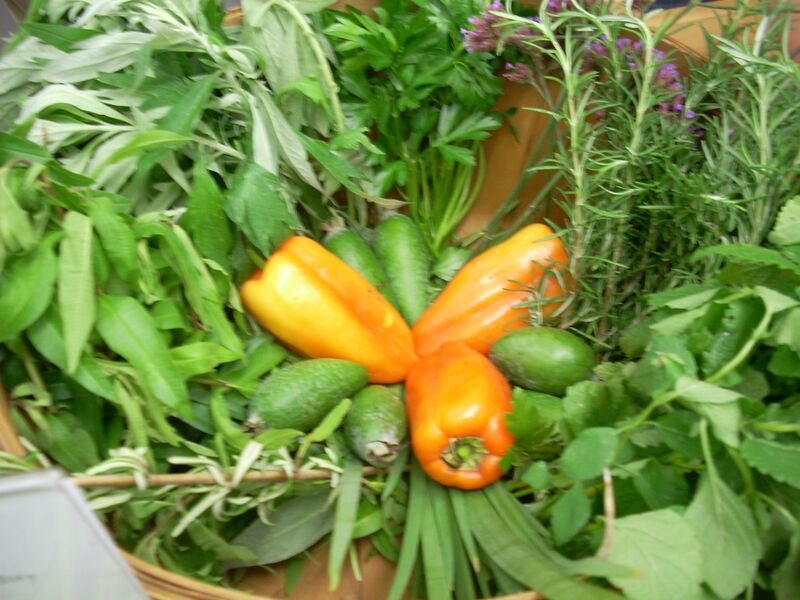 I am very excited about this project because I feel that with such a beautiful garden of all kinds of vegetables and fruits, it is important to take these, often foreign, crops to the kitchen and experiment! It would be great to have a place where PICAns can share recipes and offer advice to one another. I also feel that this communal kitchen would provide an increased awareness of our role in the food system as well as a realization of the amount of energy we consume with our normal kitchen activities. If we are more aware of the amount of energy available to us from the solar panels, or the amount of water made available to us from the rain catchment system, then we might think twice about zapping that sweet potato or letting the water run as we wash the dishes. As a member of the Green Kitchen committee we are currently working towards fundraising projects to raise the last $70,000 for construction costs. This coming quarter we will be organizing various fundraising events. As of now we hope to hold a Woodstocks pizza night, a bake sale, and a fun music and/or dinner event for the local community. These dates will be posted, but in the meantime anybody can donate online by going to the PICA homepage at www.ucscpica.org and following the instructions under the Green Kitchen information. Please help us get this kitchen built! Allow me to start of this piece with gratitude. Gratitude for the cool winter winds that are blowing away that summer heat. I am grateful for the patience required as the last fruit on the trees are slowly becoming ripe. Also I am grateful for the opportunity to share some of the happenings here at PICA. But, first let me share a little about myself. My introduction to the Student Garden culture began when I was a freshman seeking connection to this naturally beautiful place but, also searching for my own niche in the Campus community. I soon became deeply engaged into Kresge Garden as we transformed that space into the cooperatively run container for personal and professional transformation through the intentional cultivation of leadership and collaborative skills. I then began writing grants, being constantly nourished by garden produce, and making lots of new friends in the process. Throughout my personal and professional development I have come to fully value and demonstrate the conscious creation of a culture that values a sustainable notion of success. The torch of leadership has been passed at Kresge and I now continue to share my gifts and practice my values at PICA as a result of being awarded into the Chancellors Undergraduate Internship Program (CUIP). As CUIP for PICA I have the pleasure of co-facilitating: community workdays, community seminars, student-run workshops, outreach events, and the student garden market cart. 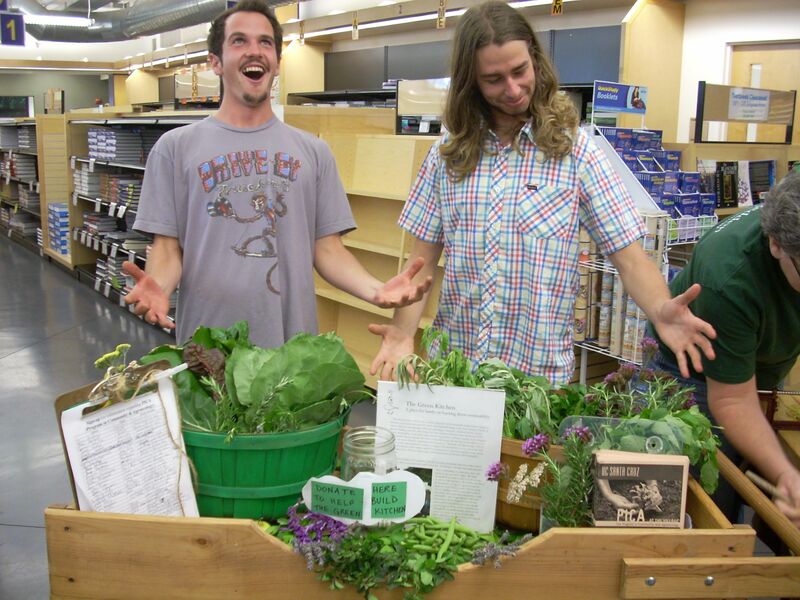 I will now share more about one of my most exciting projects, the student garden market cart. Fall time produces such an abundant harvest that as the sustainable cultivators/neighbors we are, we offer our surplus to the community bi-quarterly in the Quarry Plaza. Not only are we offering the actual student-grown flowers, fruits, and herbs from the gardens but also the opportunity to engage with the life-changing work we do as student gardeners. The design and function of the cart is to offer the student-grown goods as an invitation into the student garden culture. In the fall quarter we have done two market carts and both of them have been very successful, as demonstrated by our presence in the usual frenzy of the Quarry Plaza, with flowers in our hair and lavender to share. 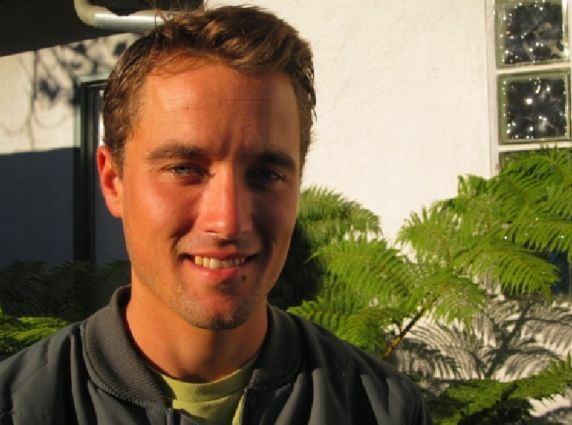 It is extremely valuable for me to actually connect with new friends and offer them garden bounty, sometimes familiar rosemary , or sometimes an exotic pineapple guava, and really feeling the appreciation of the community as they slow down and literally smell some flowers amidst the busy day. The future of the market cart has plans in the works to make the project even more potent and powerful as the multiple other student gardens join in the cause and amplify its potential. In closing, I will finish with gratitude for ancestors who initiated this vision long ago, may our work be in alignment with theirs. 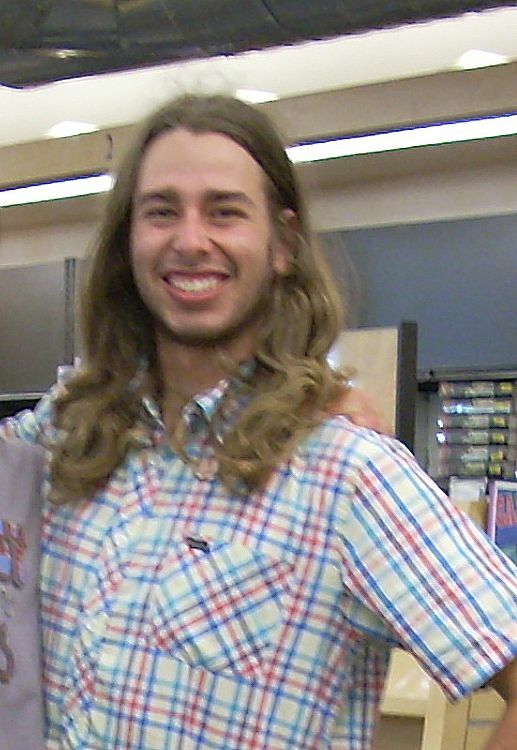 My name is Joe Coberly and I am a PICA Alum, having graduated in 2006. 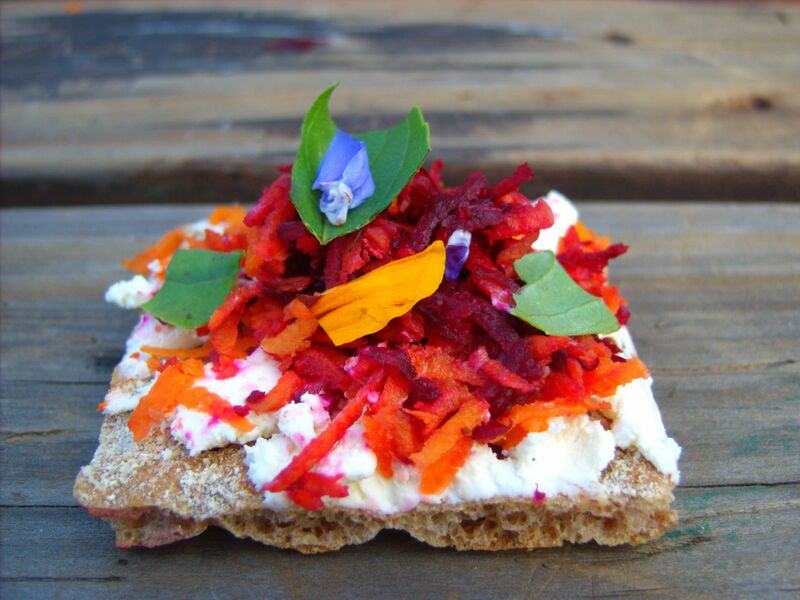 Now, I run a company called Edible Ecoscapes, a sustainable landscaping business. 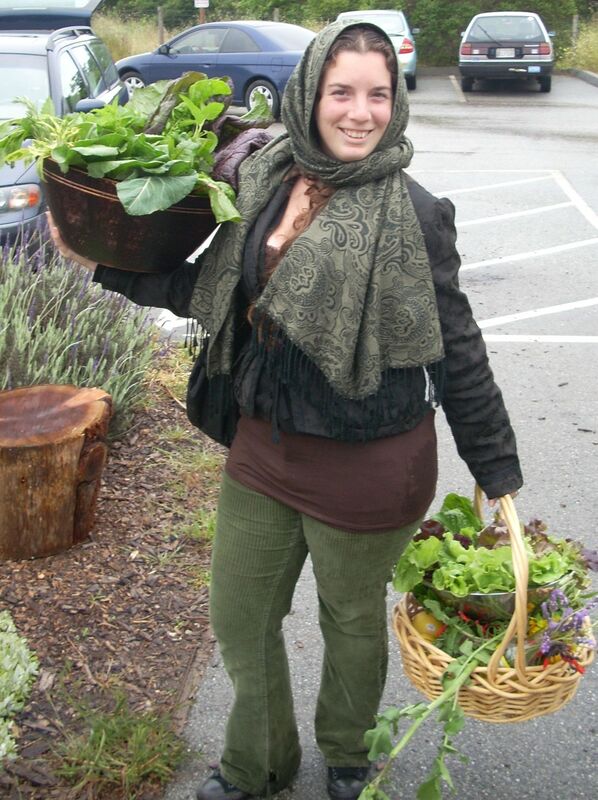 I also teach garden classes at two schools, Ohlone Elementary and Pajaro Valley High School in Watsonville. PICA has had a great influence on my life. I joined PICA in 2005, doing the 1 credit Garden class and the PICA seminar. 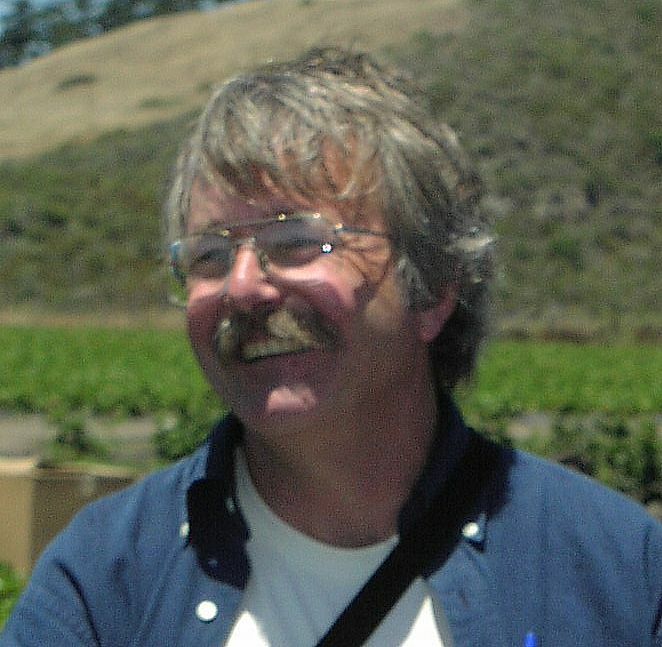 This experience furthered my knowledge and passion for Organic Agriculture and community collaboration. Wanting more of the PICA experience, I moved into the Food Not Lawns house formerly known as the PICA house. This house was started by PICA alumni who helped create the PICA program at UCSC. 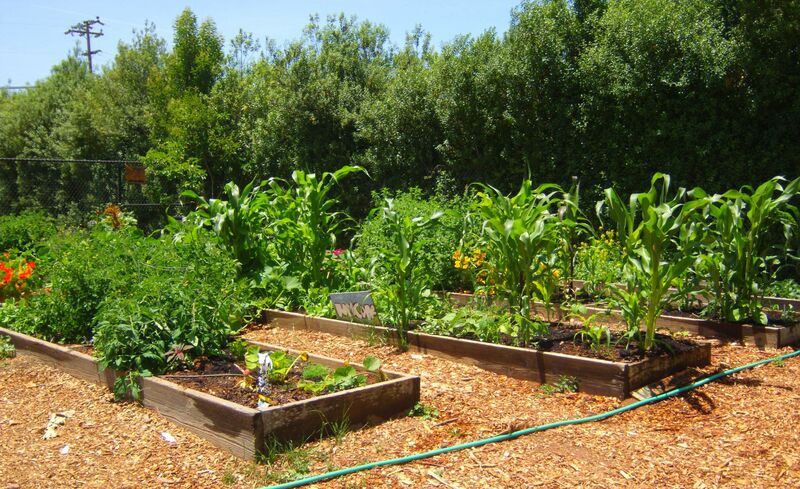 From my knowledge of and interest in this lifestyle, I am now working to create edible ecological gardens for residents and schools and hoping to catalyze a similar collaborative community experience through this work. Thanks for being a part of PICA, we need more people like you! Well, we all should look forward to 111 years of prosperity because UCSC interns teaching at Calabasas Elementary School have done all three of those tasks. The corn was planted last spring in a bed with beans and squash, the three sisters crop, to demonstrate companion planting. The trees were planted around the perimeter of the garden in hope that future students will eventually enjoy lemons, guavas, and other delicious fruit. The education of students involved with the After School Garden Program is an ongoing process which the internship hopes will continue for many years to come. The Garden Program has gone through a transformation in the past year. 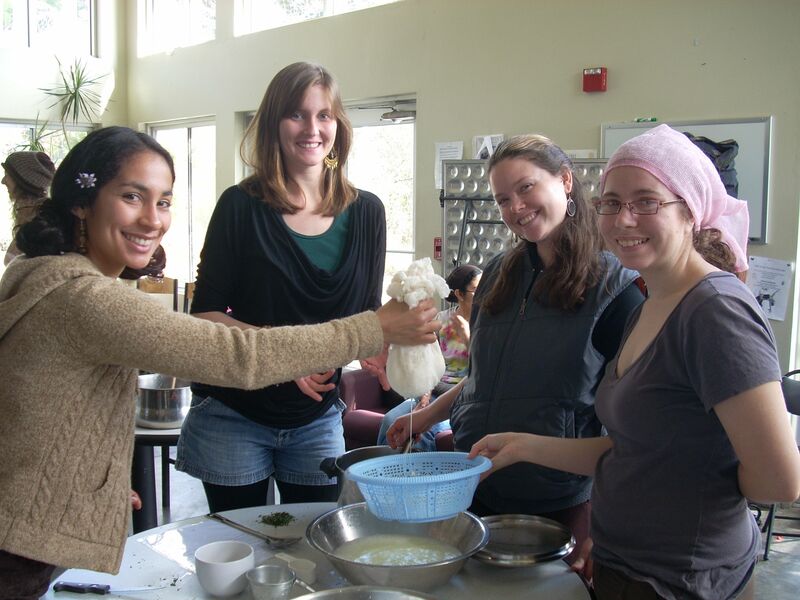 In January 2010, four UCSC seniors adopted the garden as their senior project, teaching garden-based life science lessons to over a hundred students over the course of two quarters. 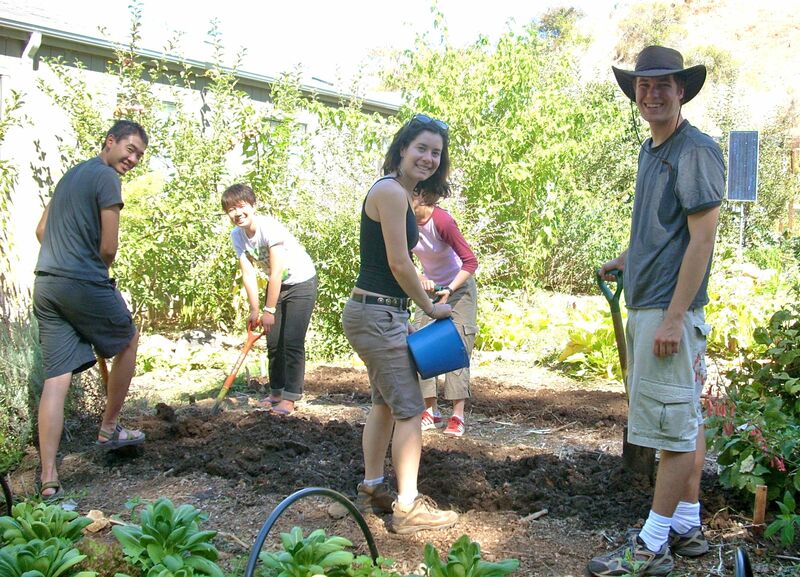 For lack of funding, the garden would not be maintained and students would not be served without the dedication of UCSC interns and sponsorship of the Sustainable Living Center. 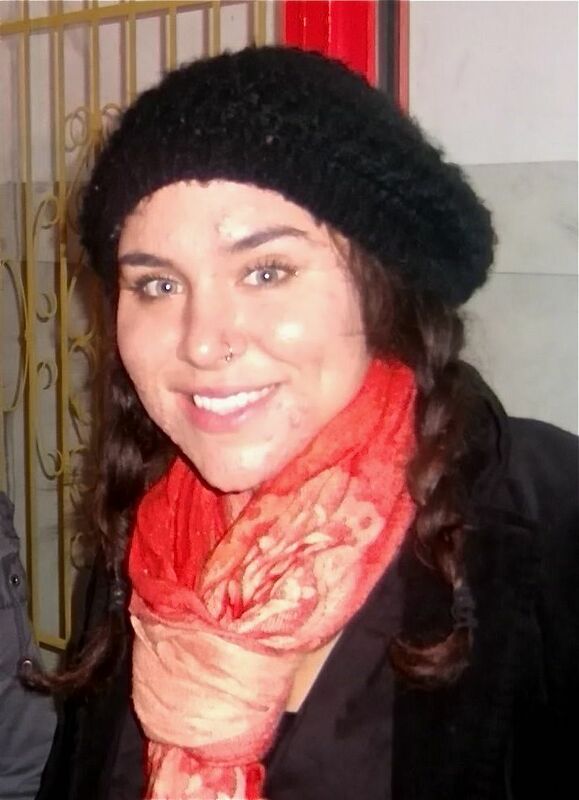 When Emily Fuentes joined the team of interns with their senior project in Spring of 2010 she had no idea of the journey she was embarking on. Initially, the 5-credit internship was to last one quarter, but with the approaching graduation of the senior interns, Emily realized her role as a continuing student. 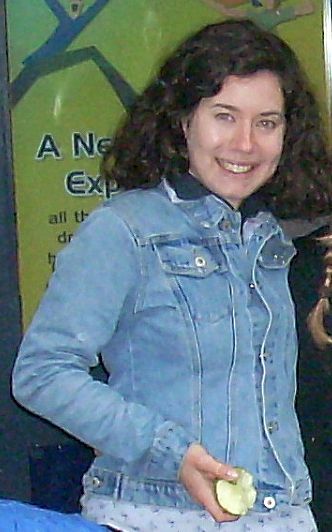 Her new role was to design the garden program for Fall of 2010, which required new interns, new curriculum, and new vision for the program. Thankfully, Vanessa Lang fell in love with the program and joined forces with Emily and together they worked diligently all summer long figuring out the inner workings of this new internship. 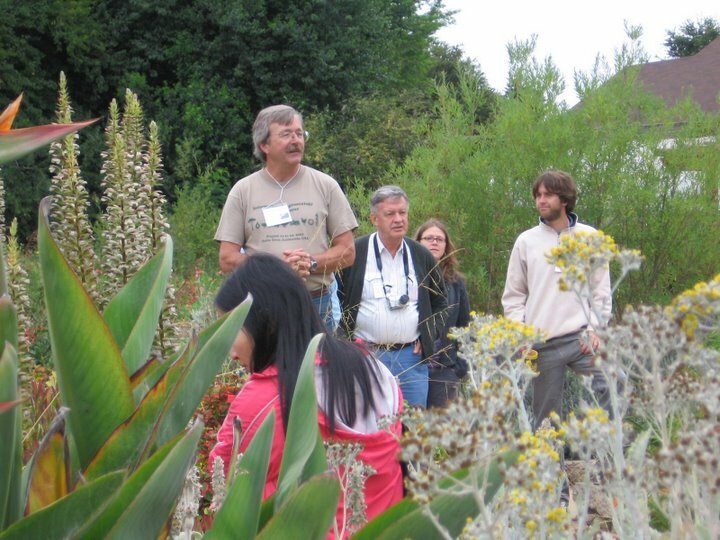 The vision was to creatively teach standards based curriculum while training new UCSC interns as environmental educators. Fall quarter 2010 was dedicated to grades 1, 2, and 3. The quarter was divided into two parts, four weeks each. For the first four weeks of the q uarter Vanessa and Emily, as the lead interns, taught their curriculum to one set of grades 1, 2, and 3 while training Sophie Krause and Megan Anzuini. The second half of the quarter Sophie and Megan had the opportunity to lead the lessons to a second set of 1, 2, 3 grades. Unfortunately, Megan and Sophie will not be continuing with the internship and Emily and Vanessa must recruit new aspiring educators. They hope by the end of Winter quarter the garden is equipped with at least two trained UCSC interns ready to continue with this program in Spring, training more educators and serving mores students. Currently, Emily and Vanessa are working on developing curriculum for grades 4,5, and 6. They are not alone in this process and are thankful to have teachers at Calabasas and several mentors from UCSC’s Sustainable Living Center as resources. Working with Calabasas has been too fun for words – I’d have to use a lot of hand signals and murmurs of delight to fully express just how amazing my time has been with this internship! Teaching an after school garden program has taught me more about myself, my community, and the future of this planet than I could have ever imagined. Surrounded by smiling faces, eagerly raised hands, and the energy and vivacity of today’s youth, I leave every work day feeling rewarded and content. Through this internship I have become empowered by my ability to creative positive agents of change for the future of our global community. This internship is not your average Environmental and Life Science Educational experience – you are given the power and imaginative license to create, adopt, and implement your own curriculum! This internship is a “must-do” for anyone interested in teaching or anyone who wants to make a difference in this world. Expect to get invited to lots of sleep-overs, to have lots of laughs, to make personal revelations, to gain applicable work experience, and to have an exhausting amount of fun! Participating in the garden program at Calabasas Elementary School has been a wonderful experience. My goal was to combine my two passions: the outdoors and children. Teaching these students about the importance of the environment has been so rewarding, and I’ve learned so much in the process. Taking part in the four-week training part of the program was extremely beneficial. Not only was I introduced to the teaching process, but I worked one-on-one with an experienced garden coordinator to develop education techniques. In the following four-week session, I was given the unique opportunity to teach the curriculum myself, with my mentor there for reinforcement and additional support. Having an influence in the lesson plans and administration of the curriculum has further developed my teaching skills as well. This hands-on experience has provided me with immense tools that I will be able to utilize in future teaching situations. I would definitely recommend this program to anyone seeking to learn more about the education process, and willing to participate in facilitating change at a low-performing school. After teaching a lesson on nutrition and snacking on edibles of all the colors of the rainbow, I overheard one student describe beets as “candy” to another student. I myself had never eaten a raw beet until I began this internship. Before this internship I never considered myself a gardener, never designed and taught my own lessons, and never had so much creative freedom with my schoolwork. 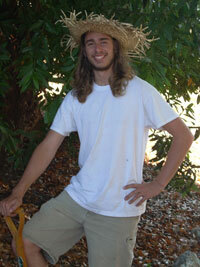 Now I am referred to as a garden coordinator and I train others on how to teach my lessons as well as create their own. I can’t believe it. I am so blessed to be working with Vanessa. Her experience with the Life Lab Science Program has been an amazing contribution to the program and I learn something new from her everyday! I am sad to see Megan and Sophie leave the internship, but I am so proud to have seen them grow during the experience. I worked with Megan twice a week and we taught three different third grade classes. On our first day the students reluctantly entered the garden and spent the majority of the time pinching their noses while complaining about the smell of dirt. We made sure they played with mud before the end of class, having them sign the poster of garden rule with muddy handprints. Now, as we walk through the school we encounter past students asking if they can go to the garden that day, students who visit during recess, and a bunch running up with half eaten apple asking if they can deliver it to the compost so the worms can eat. Having one quarter left with the school, I am anxious to see the program continue after I leave. That has been my goal since Spring and every day I am closer to making it a reality. None of this would be possible with out the combined efforts of Vanessa, Megan, Sophie, the Sustainable Living Center, and the After School Program coordinators of Calabasas Elementary. My work with the garden has been a challenging yet most rewarding experience. For the fall of 2010, I helped develop a curriculum for first and second grade. 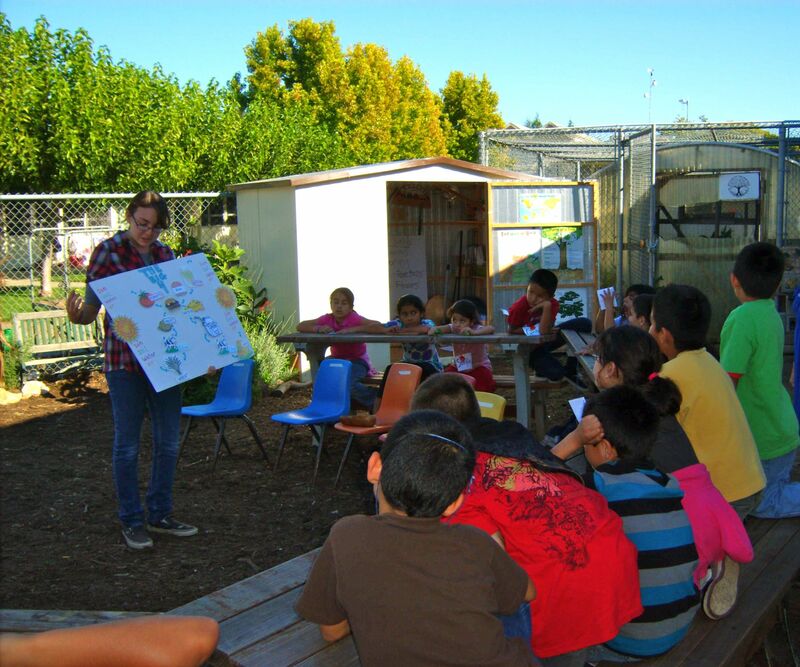 The curriculum incorporates Life Science State Standards into interactive garden lessons. Twice a week I take public transportation with Sophie Krause to Watsonville. Each day we strive to inspire these children about the garden and to try new fruits and vegetables. The rewards of teaching garden based education are numerous, especially to the students that attend Calabasas Elementary who have not experienced learning in an outdoor classroom. The rewarding moments that remain in my memory are: seeing students make the connection that some of their favorite foods like pizza and burgers depend on sun, soil, water and air to be made, and seeing their excitement and taste buds jump when they make fresh apple juice. This project is a continual learning process that involves developing curriculum, mapping garden beds, and training new interns. I have seen Sophie grow in her ability to teach and keep the children’s focus. I have enjoyed passing on the bag of tricks that I learned from mentors at the Life Lab Science Program on campus to interns at Calabasas Discovery Garden. The work that Emily and I do continues as we begin creating the Winter 11’ curriculum for 4,5,6 grades.